i believe this is the first time we see kate with her new PA out and about (ie. her PA's first official duty)? Love the videos! She's totally in her element there, kids and tennis! The one lady on the court when she first walked out ..she was taller than Kate, which you don't see too often! She looks smashing, just a little tired I think though. 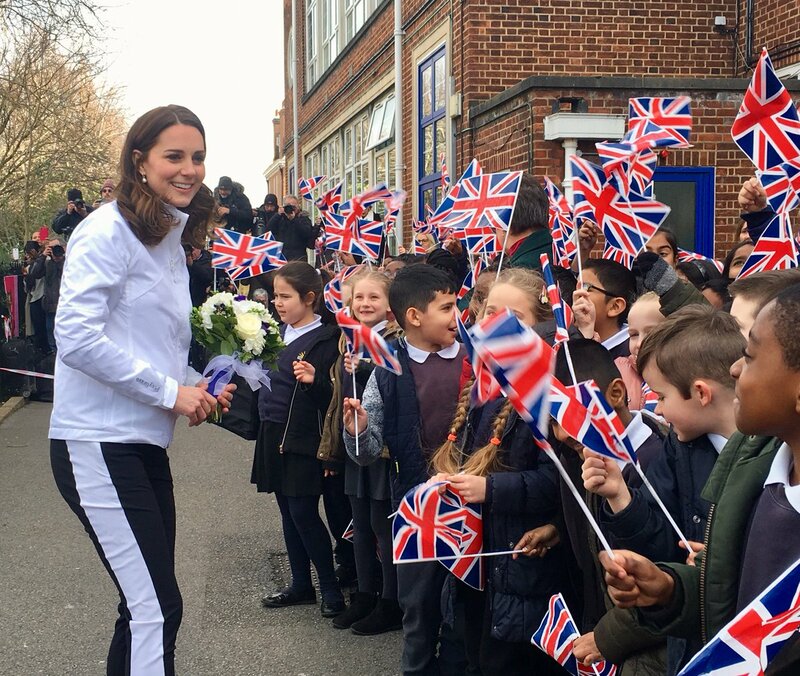 The Duchess of Cambridge, Patron of @Wimbledon, will visit Bond Primary School in Mitcham on 17th January to see the work of the Wimbledon Junior Tennis Initiative. She's barely showing! She looks like she's enjoying herself. Adorable video. Hugs all around! Love all those hugs Catherine got from those precious babies. 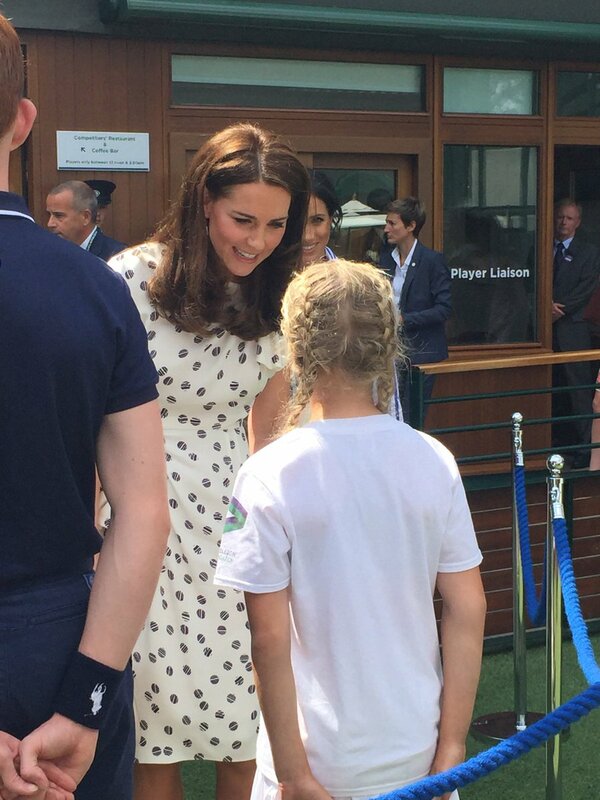 It's always a treat to see Kate at these sporty events with children. She just shines in this environment! 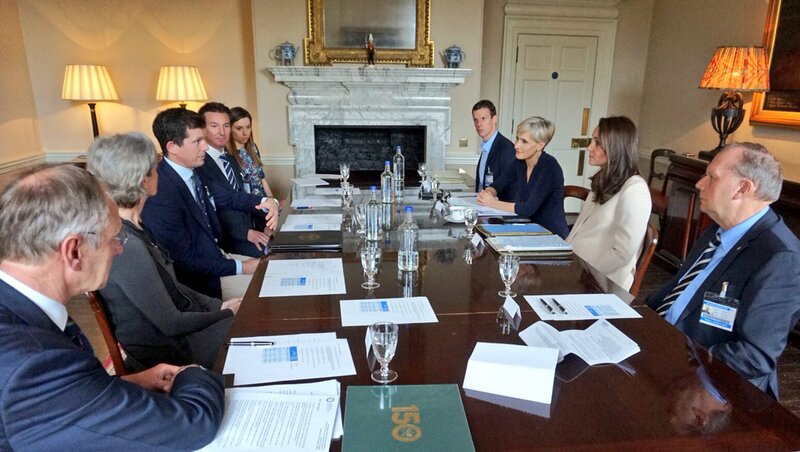 The Duchess of Cambridge today met with representatives from @BritishTennis and @Wimbledon, @WeAreCoachCore, @JudyMurray and Tim Henman to discuss children's tennis initiatives in the UK and access to the sport at grassroots level. Not sure if we'll see Kate at Wimbledon in her role as patron of AELTC and Lawn Tennis Assoc. but former champion Andre Agassi had some nice words about meeting Kate and good wishes for her new sister-in-law. HRH The Duchess of Cambridge, Patron of the All England Club, meets Tia Carter ahead of today’s Ladies’ Singles Final. Thanks for sharing this. Airplay is quite marvelous. Tia seems such a lovely young person. The Duchess of Cambridge, Patron, All England Lawn Tennis and Croquet Club, and Patron, the Lawn Tennis Association, accompanied by The Duchess of Sussex, this afternoon attended the Women’s Finals Day of the Lawn Tennis Championships at Church Road, Wimbledon, London SW19. The Duke of Cambridge and The Duchess of Cambridge, Patron, All England Lawn Tennis and Croquet Club, and Patron, the Lawn Tennis Association, this afternoon attended the Men’s Finals Day of the Lawn Tennis Championships at Church Road, Wimbledon, London SW19.